Ron Finley, who has long lived in the food deserts of South Central Los Angeles, got so tired of watching his neighbors suffer from preventable chronic diseases, he decided to do something about it. 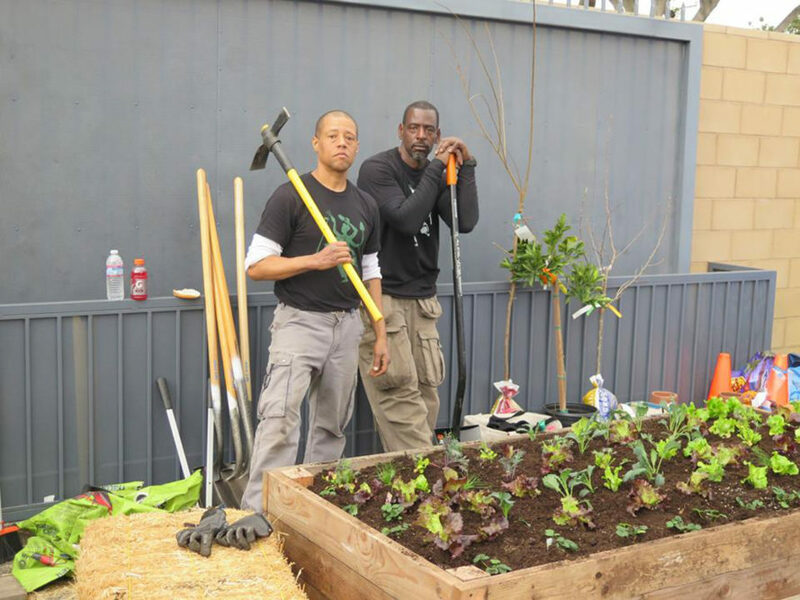 According to him, food is both the problem and the solution, and his guerrilla gardening has inspired hundreds of people to reconnect with their health. In a TED Talk Finley said, “Just like 26.5 million other Americans, I live in a food desert, South Central Los Angeles, home of the drive-thru and the drive-by. Funny thing is, the drive-thrus are killing more people than the drive-bys.” He and the group LA Green Grounds took action by planting fruit trees and vegetables in the strip of grass between the sidewalk and the street. The unprecedented maneuver left Finley with a citation from the city, but an LA Times report and a Change.org petition reversed the legal course. Finley still works with LA Green Grounds to plant fresh food in accessible, but unused areas in the city. The response from the community has been overwhelmingly positive, especially from enthusiastic children who have previously had little experience with fresh fruits and vegetables. Finley estimates the organization has helped plant around 20 gardens, and counting. Considering Los Angeles alone has 26 square miles of vacant lots, he says there is still much work to be done. 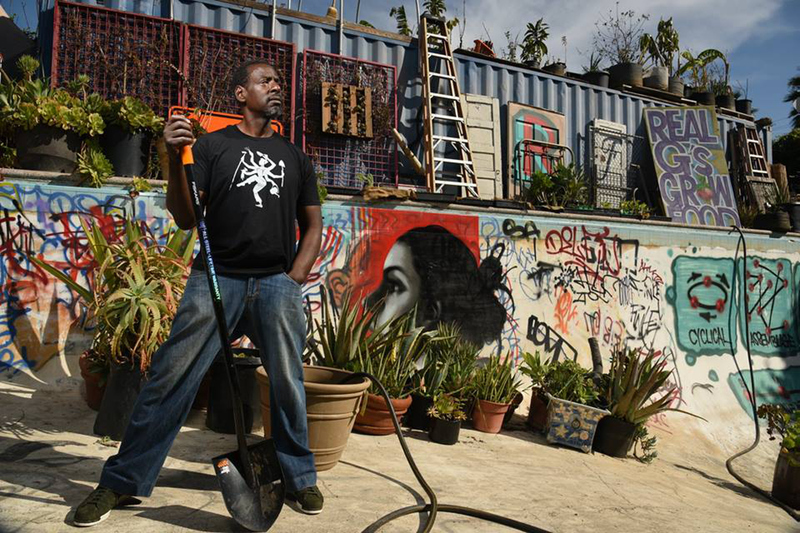 Ron Finley is creating pop-up, guerrilla-style gardens all over South Central Los Angeles. The projects have brought the community together to celebrate connecting to fresh food and their health.